The proposal for this multifunctional building, featuring an international business center and hotel, located in the city of Yerevan, the capital of Armenia. This city is dominated by the views of Mount Arayan, a 5737m high mountain, which is recognized as the national symbol of the country. This high rise building was not conceived just a compendium of technology, but as a natural extension of the land in where it is located. This concept gives birth to the term “Mount Yerevan, paying tribute to the mountain. The building stands as a man-made topography that stablish a symbiotic relation with the environment, being a catalyzer for the regeneration of the area. 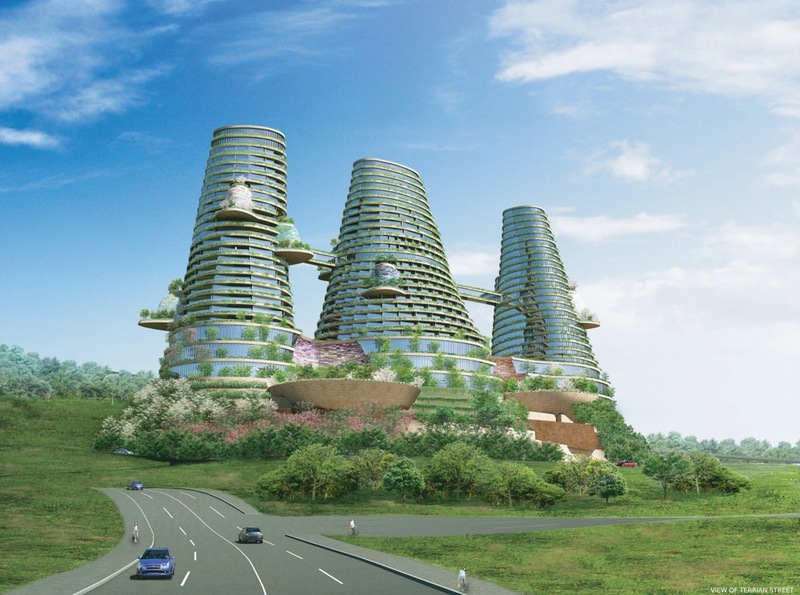 Three towers are erected over a common base, whose gentle slopes make room for growing plants and fruit trees; livestock can move freely across the area, completing the cycle of natural around this new complex.